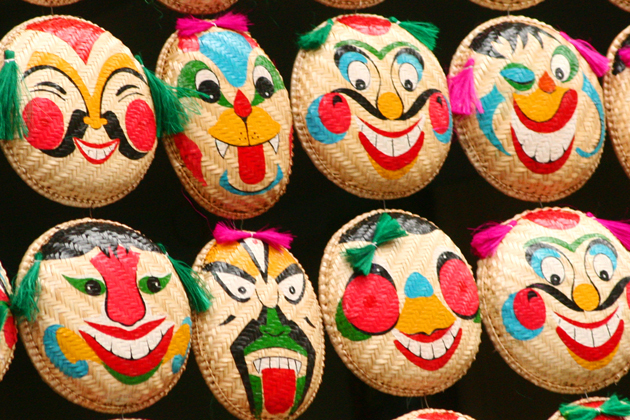 Vietnam is one of the most delightful places in Southeast Asia. Vietnam has always inspired travelers because of its beautiful landscapes, evocative history, century-deep culture and warm-hearted, hospitable, intelligent people. Vietnam is a nation with thousand years of history. Vestiges of the historic period of the Hung Kinh have revealed that Vietnam is one of the oldest countries in Southeast Asia. Vietnam traditions and customs make deeply impression on people from all over the world, ao dai is one of them. When Vietnamese girls wear “áo dài “, they become more beautiful and graceful than ever. The Vietnamese are proud of “ao dai” because of its history, beauty, the significance of the attire upon Vietnamese women and all things that it shows for pure beauty. Come to Vietnam, you can enjoy variety of scrumptious food and drink. We can not mention to traditional Vietnamese food without referring to Pho ( rice noodle soup). Only in cold days, having a hot and sweet smelling bowl of Pho to enjoy would make you experience the complete flavor of the special dish of Vietnam. There are also many fantastic landscapes in Vietnam as Ha long Bay which has twice been recognized by UNESCO as a World Natural Heritage Area for its exceptional scenic beauty and outstanding geological and geomorphic values or beaches in Nha Trang where organized the Miss World contest and many ideal destinations in Ninh Binh, Hoi An, Da Nang … for tourists soak up nature and culture of this country. With breathtaking beauty, I would like to introduce to visitors so that they could establish love for Vietnam and may be more interested in exploring this beautiful country. Once you have Indochina tour, you will recognize Vietnam is the most comfortable country to visit mentioning landscape, culture, people and even price! 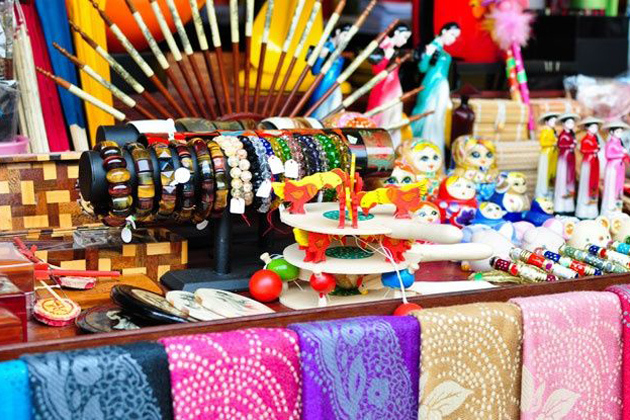 After having sightseeing Vietnam vacation discovering wonderful attractions, you probably finish your trip by purchasing something typical of Vietnam, especially traditional products made of natural materials such as silk, brocades, pottery, handicrafts… And of course, knowing several shopping tips is much more advantageous. 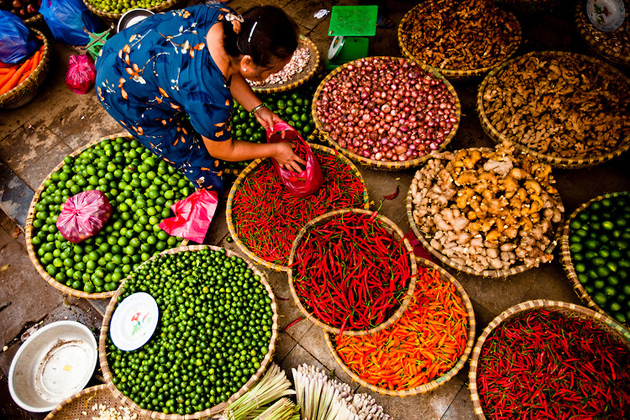 Below is the list of 10 things you should remember when shopping in Vietnam. 1. Domestic products are cheaper than the ones imported. 2. Price is almost negotiable, you should bargain. 3. Malls are for the rich. Those who like to bargain are not welcomed here. 4. Price will be cheaper if you pay in dong instead of dollars or euros. 5. Cheapest price is often accepted for the first person in the morning or the one who is late in the evening. 6. There is always a point of time you can buy everything at a good price, but it is almost there are not the exact sizes and styles fitting you. 7. Weirdly, goods in the south are often cheaper than those in the north. Items in tourist destinations are always on top highest prices. 9. Ask your tour guide for advice if necessary because local sellers know he/she is so fancied in this. 10. Sometimes you can be bothered by street sellers, mainly kids. If you don’t want to buy, all you need to do is walking away straightly and avoiding any eye contact.